I work in a public library, and I talked with a patron just the other day about her grandfather’s personal recollection of the Titanic disaster (he was a White Star Line employee at the time), and about how through his entire life it was too painful for him to discuss his memories with even family and friends. 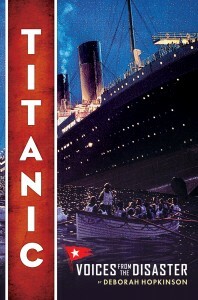 When did you first become interested in the Titanic? Was there a personal reason that drove you to write about the Titanic disaster? What urged you to choose this subject for your book? I actually was not a longtime Titanic “fanatic” before writing this book — though I certainly came to know more about the event than I ever dreamed I would learn. Instead, I came to the topic through my interest in history. Most of my books deal with history in one way or another. Over the years, I’ve often had students at school visits ask me if I ever planned to write a book about the Titanic. I’ve also noticed how this topic continues to fascinate people of all ages. So several years before the 2012 centennial, I discussed the idea with Lisa Sandell, my wonderful editor at Scholastic. 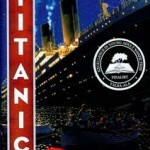 The story of the Titanic has always fascinated people through the years. With so much information in books, in recordings, online, etc., how did you begin the process of researching your book? What were your favorite sources of information? That’s a great question! As a neophyte, I soon learned the most important thing about the Titanic: how much there is to know and how complex it really is. I remember at the beginning setting out to summarize some basic statistics and realizing that everywhere I found different information for things that seemed incredibly simple — the number of survivors for a start. And that was just the first weekend! There are some marvelous books on the topic, but I also relied heavily on both the British and American inquiries, which are searchable online, and on Encyclopedia Titanica, an online community of experts, amateur historians, descendents of survivors, and researchers. This was often my source for sticky questions, and people were amazingly helpful. The book was read by three different Titanic “experts” I met through this community — and they all found errors. Did you know from the start that you wanted to focus on eyewitness accounts? Yes. 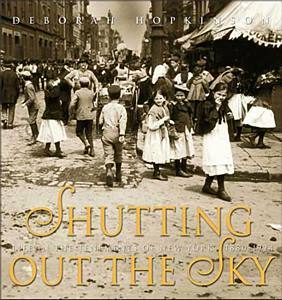 I focused on oral history and personal stories in my first nonfiction book, Shutting out the Sky: Life in the Tenements of New York, which came out in 2003, and in another nonfiction title, Up Before Daybreak: Cotton and People in America. So it seemed natural to take this approach with Titanic. Walter Lord, of course, does this in his A Night to Remember, but he focuses on far more people rather than trying to illuminate the experience through the eyes of a more limited group of eyewitnesses, which is the approach I took. I wanted readers to come to know some of these individuals. 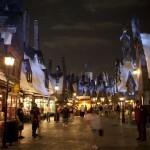 What were some of your most surprising discoveries as you researched for your book? I think I was certainly surprised to find out how much active research continues to take place about the Titanic and just how complex a story it is to get straight. That shouldn’t really have been a surprise when you realize how chaotic those last few hours were. But I often found myself searching through several sources to pinpoint, say, exactly what was taking place at any given moment. I was able to use new research to include a timetable of the lifeboat launch times, but as you dig into that, you realize that even some people who were rescued weren’t sure which boat they had been in. That makes sense when you think about it — but though we think we know the story of that night, there continues to be an enormous amount of debate taking place. Were there certain eyewitness accounts that particularly resonated with you? I can be a little superstitious myself, and the story about the employee seeing a bad omen in the cat carrying her kittens from the ship just before the Atlantic crossing gave me shivers. I focused on some of the eyewitnesses I did because of the fact that some of these people left rich accounts, which included details of their lives, their emotions, and the journey up until that fateful night. Whenever I read from the book, I find myself drawn to the Collier family. Their story, like so many, was heartbreaking. We have the husband’s cheery, optimistic postcard to his folks from the first day of the voyage, and then the wife’s desperately sad letter to her mother-in-law in New York. Their daughter, who was only eight years old at the time, ended up an orphan a few short years later. We often focus on whether someone survived or died that night, but the saddest parts were often these stories from afterward: the young boy playing on deck in a famous photo is thought to be the same one who was killed in a car crash a few years later; Archibald Gracie, who survived on Collapsible B, was dead by December, and young Jack Thayer committed suicide later in life after his son was killed in WWII. One of my favorite parts of your book was how skillfully the text and historical photographs/images worked together to create a tangible picture of the Titanic and the people whose lives were forever changed by the disaster. As a writer, do you find it challenging to select the photos (or illustrations) that help to tell your story? Were there any images you wish had been included in the final product that just didn’t make the cut? The first weekend I began working on the book, I discovered Father Frank Browne’s photos, and so it seemed natural to begin the story with him and to include many of his photographs. I collected a ton of photos and passed them on to Lisa Sandell, my editor, and we went through them on Skype. Then she worked closely with Phil Falco, the amazing designer, on the final selection. Like everything else about Titanic, photographs of the ship present interesting complexities. Many photos one sees of the ship are probably actually of her sister ship, the Olympic. So making sure each caption and source was correct was another part of the process. What do you personally think was the greatest tragedy from the Titanic disaster? You know, since my book has been in process we have had two cruise ship incidents. I think the greatest tragedy was how many near misses there were, all of which led to disaster. Not slowing down, not heeding the warnings, the way the iceberg struck — everything seemed to align to make this a tragedy. Even now, when I think of what it must have been like to have to leave what seemed a solid, safe ship on such a still, beautiful night I get shivers. The biography you provide on your web site notes that you have written over 40 books in your career –picture books, short fiction, and nonfiction. Do you have a favorite format to write in? I do love writing long nonfiction and novels, but they require intense dedication. 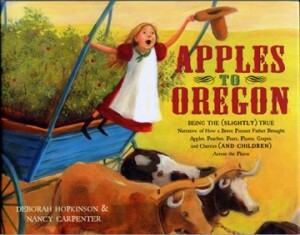 And since I have two careers (I am a vice president for fundraising at PNCA in Portland, a college of art and design), I really love picture books because of their length and the way art and words come together. I recently wrote a picture book that was completed and sent to copyediting within six weeks — not exactly the same time frame as a 300 page work of nonfiction! Over the course of your career, there must be a few books that hold a special place in your heart. What books are you especially proud of? I do. 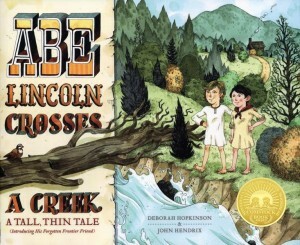 Two of my favorite picture books are Apples to Oregon and Abe Lincoln Crosses a Creek, both edited by the amazing Anne Schwartz. Students continue to love these whenever I present them in schools. And Shutting out the Sky is still my personal favorite for many reasons, perhaps because my grandmother was an immigrant. What can fans expect from you next? What’s your next big project? I’m very excited about both of my 2013 books: a picture book in February entitled Knit Your Bit, a World War One Story, and a middle grade novel based on the life of Dr. John Snow and the 1854 cholera epidemic in London called The Great Trouble: A Mystery of London, the Blue Death, and a Boy Called Eel. I’m also currently working on a picture book on Beatrix Potter and nonfiction on WWII. To find out more about my books readers can visit my website. I don’t have time to blog, but I have some Pinterest boards with images from several books. Thank you, Deborah! I can’t wait to read your next books.